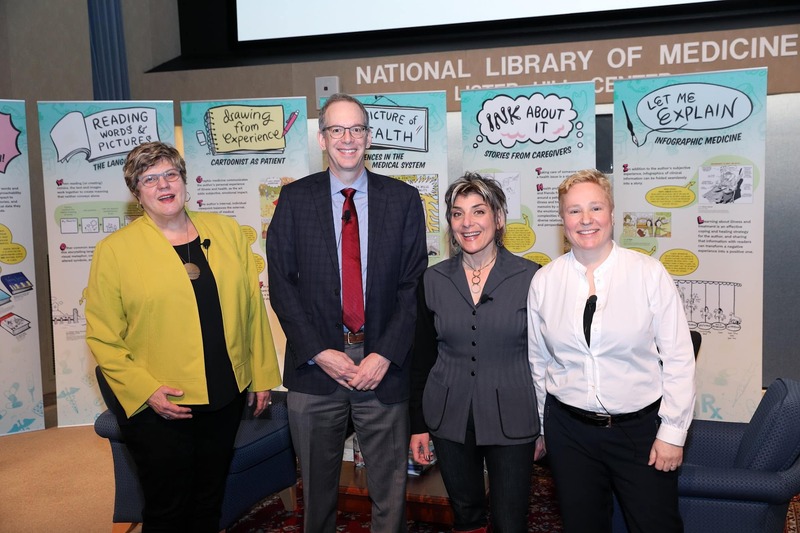 In March of 2018, the National Library of Medicine in Bethesda, Maryland, USA launched their collection of Graphic Medicine. This launch includes an on-site exhibit, an online exhibit and curriculum, and a traveling exhibit. You can read about the launch event in this post. You can listen to an interview with the director of the National Library of Medicine, Patricia Brennan, about Graphic Medicine here. Much of the curation of this exhibit was done in collaboration with Ellen Forney, creator of Marbles and Rock Steady.